Tuft and Needle Mattress Review - Is It Good? Find Out Now! 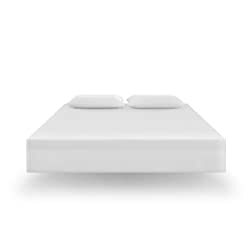 What Sets The Tuft & Needle Mattress Apart From The Rest? What Other Benefits Do Tuft & Needle Mattresses Come With? On this page we’re doing a Tuft And Needle Mattress Review. Mattresses have been around for quite some time now, yet many of them are basically the same. Tuft & Needle claim that most of the mattresses you’ll find in the market today are made of outdated materials that are just rearranged, and a lot of them are overpriced and sold with sales gimmicks. Tuft & Needle knows that making mattresses is serious business. A good mattress will give you a restful sleep and cure your insomnia, but a bad one is really bad news. If you sleep on a mattress that’s not suited and won’t conform to your body, it can even give you back pain and affect your training. In fact, a study shows that simply changing your bedding system can improve your quality of sleep and reduce perceived stress and back discomfort. Anyway, let’s move on with this Tuft and Needle Mattress Review. The key innovation that Tuft & Needle has come up with is its T&N Adaptive™ Foam. Latex, traditional memory foam, springs, and egg crate foam are all outdated for Tuft & Needle, so they have come up with their own innovative material. With the ability to adapt to every individual’s body, this one really conforms to unique shapes and gives you the ideal firmness that you need. This adaptive foam offers you a gradient of support. It’s designed in such a way that if you apply additional pressure to the mattress, the more support it will give you. Tuft & Needle is able to offer their mattresses at affordable rates because of its simplicity and supply chain. For one, they don’t give you all the complicated layers that other mattresses have. They have done this by streamlining the construction to two essential layers and an innovative adaptive foam. Aside from this, Tuft & Needle also operates in a vertical supply chain. Because it handcrafts its products and cuts out the middle man, it can offer its products at a fair price. This is something that a lot of customers appreciate. Founded only in 2012, Tuft & Needle is a relatively new player in the mattress industry. Because it’s the brainchild of two software engineers from Silicon Valley who were fed up with the lack of options in the mattress industry. An industry that was dominated by big brands that were not always necessarily offering you value for money. The industry was in need of a shake up. Tuft & Needle are one of the new players that have played a part in a successful shake up. Since it’s debut, it’s already become very popular and well received among customers, who have left largely glowing reviews. The Tuft & Needle mattress is pretty straightforward, and all you need to do is decide what size of mattress you want. Whether that’s Twin, Twin XL, Full, Queen, King, or California King, you still get the same quality. You don’t have the confusion of having to choose from many different models from the same brand. It has become one of the highest rated mattresses online, with customers being very happy with it. Tuft & Needle is a great product, but it also comes with a guarantee and trial period that really gives customers peace of mind. It comes with a 30-day trial period. So you get to try the mattress out and see if it suits your needs. There’s also a 10-year warranty, and this is something that gives customers the peace of mind because mattresses are truly investments and they do not come cheap. Tuft & Needle make a note to call their guarantee hassle free. This is because some mattress suppliers have proven to be reluctant to honor their guarantee. It’s not just the material that’s innovative, it’s also the way you can set it up. All you need to do is place the rolled up mattress at one end of the bedframe, cut the first plastic layer and unroll the mattress onto the frame, then cut the second plastic layer. You will then watch your mattress expand before your eyes. It’s easy to talk about how innovative the material is, but customers really feel the difference and comment on the great support that the mattress provides. It’s just the right firmness that they’re looking for, and it also feels lighter and more breathable than most mattress options available out there. This quality is something that has really captured customers everywhere. Now is one of the best times to purchase a mattress. Since memory foam mattresses became affordable, the mattress industry had changed a lot. And now after significant enhancements and refinements, memory foam mattresses and spin off proprietary foams like T&N Adaptive Foam have fast become the main choice of mattress for many. Tuft & Needle spotted an issue in the industry and have helped drive it forward with their offering. The reception of this mattress is testimony to its quality. Investing in this mattress is unlikely to leave you disappointed. Thanks for reading our Tuft and Needle Mattress Review.